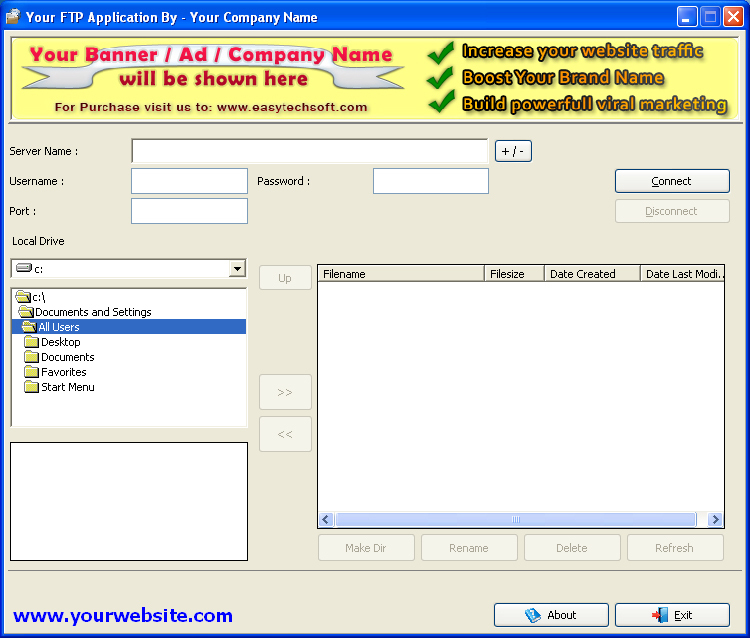 This is the fully customized FTP Applictaion for your Own brand, Own Company name, Own Product name, Own website address. This FTP Application is an easy-to-use File Transfer Protocol client that will allow you to transfer files between your PC and a FTP server.This is the new generation of FTP clients with advanced features, which has, amongst others, complete support of your clients website's. This software is a Desktop Application for FTP (File Transfer Protocol). 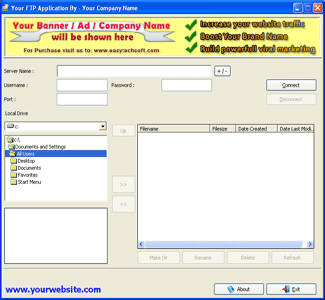 An Ftp program is used by everyone to transfer files to and from their web server. This is one of the most used software by any webmaster. Easily manage your website files and folders with this Ftp client. Uploading and downloading of files is very easy. User friendly inteface to clear idea about how it works. Is very faster when files are included in the process of upload or download. Suggested Price: Free To $25.